Fobus' Combo Pouch is excellent for on the job concealed carry. This Cuff/Mag Combo features a custom retention and a low, lightweight profile design. 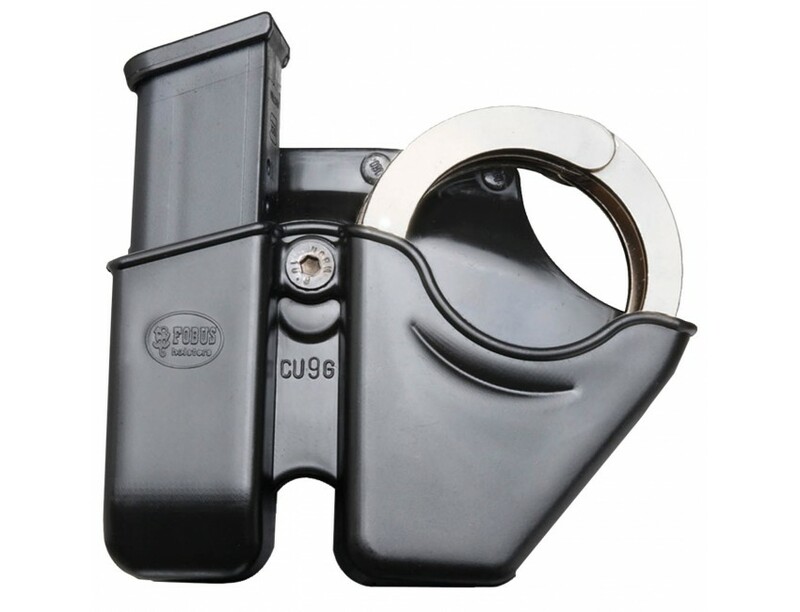 The one-piece pouch body has an adjustable tension to accept most magazines and chain handcuffs. This model is compatible with Glock and HK USP double-stack 9mm/40 caliber magazines and Smith/chain handcuffs.